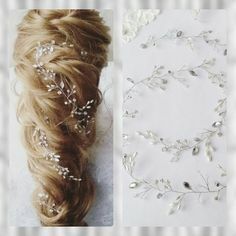 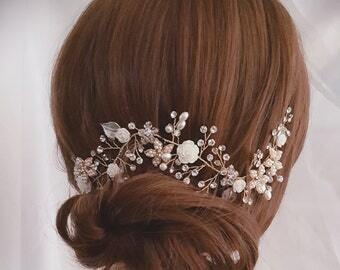 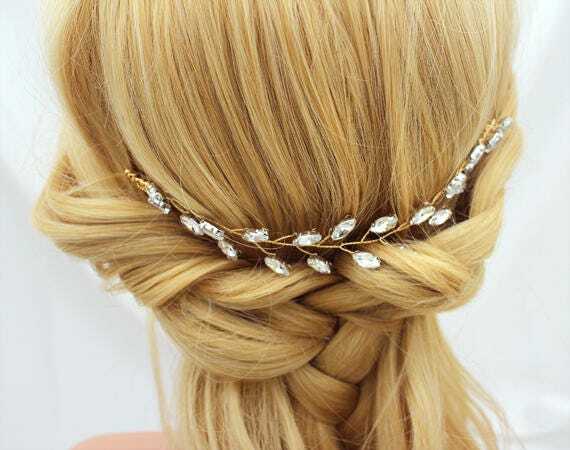 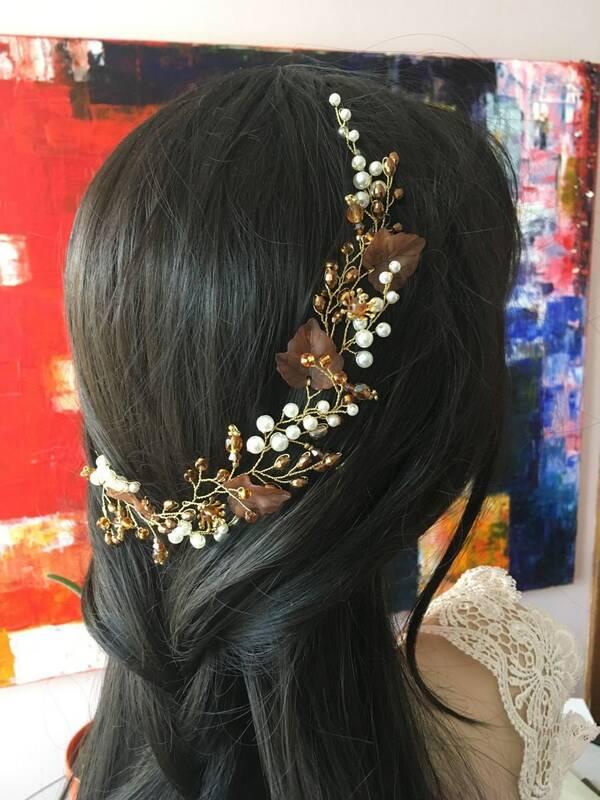 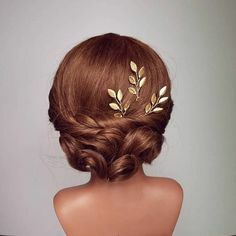 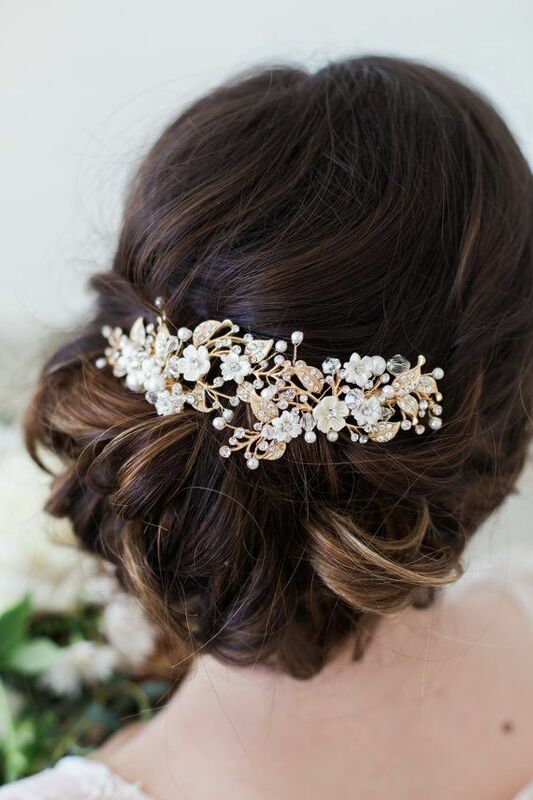 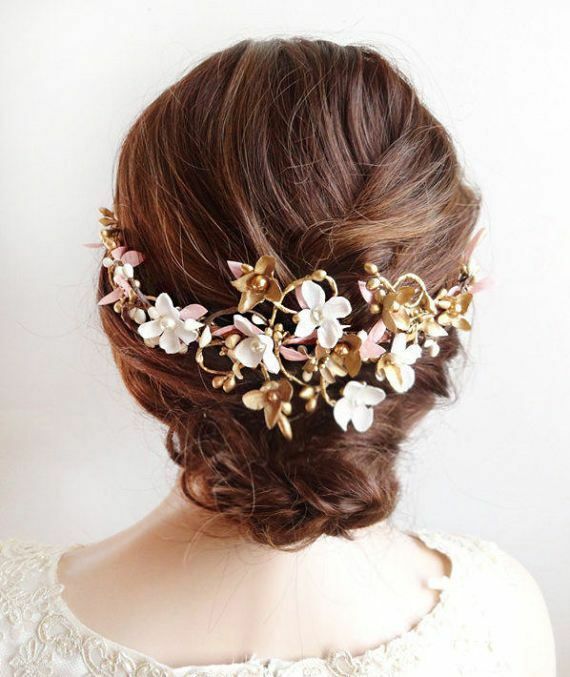 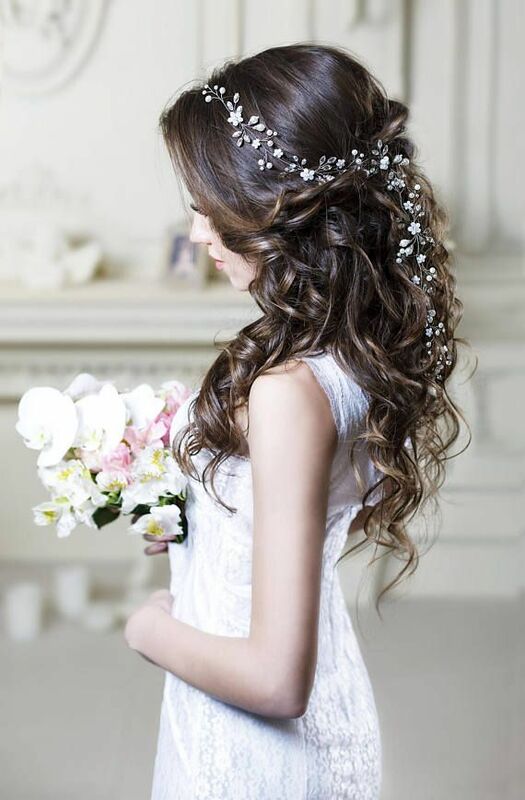 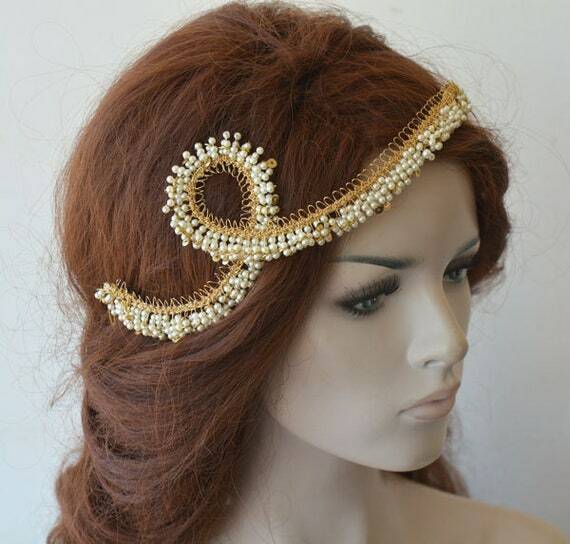 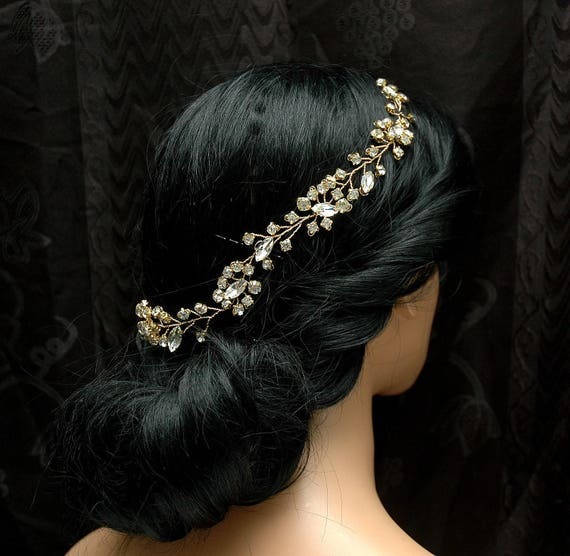 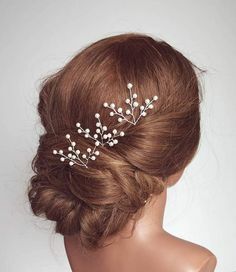 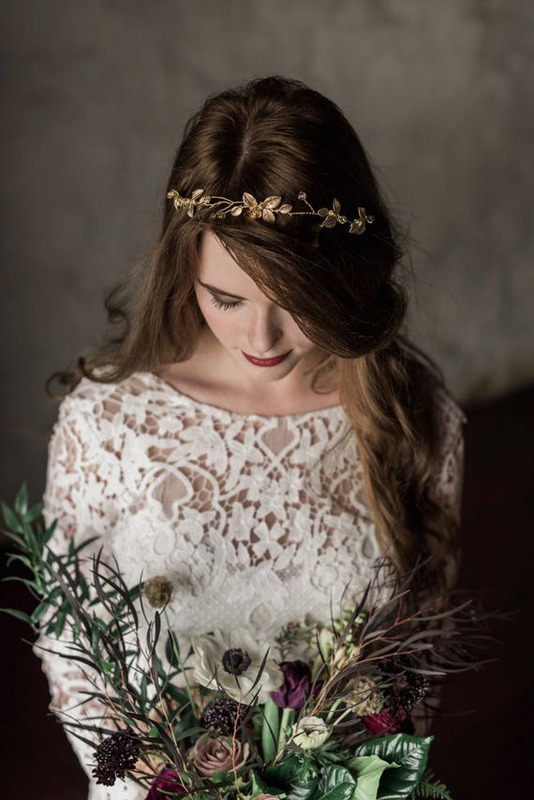 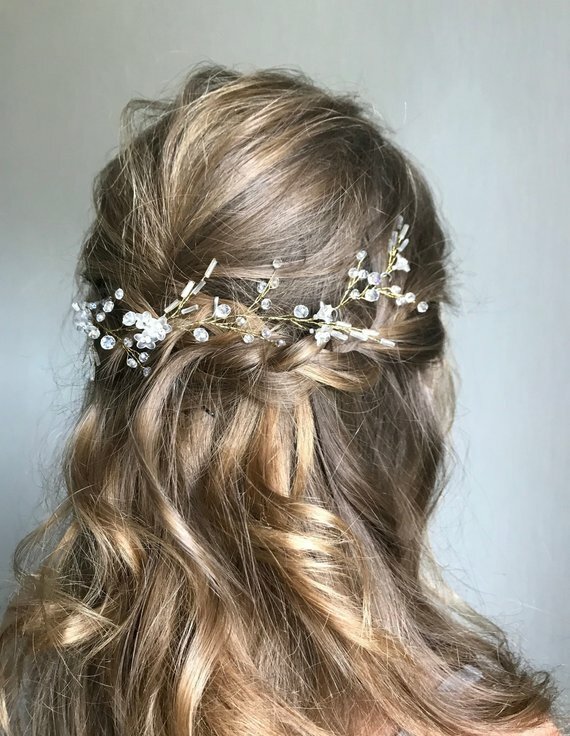 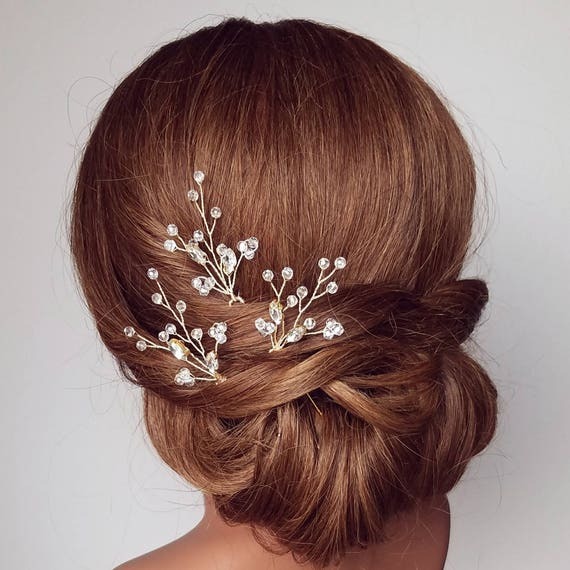 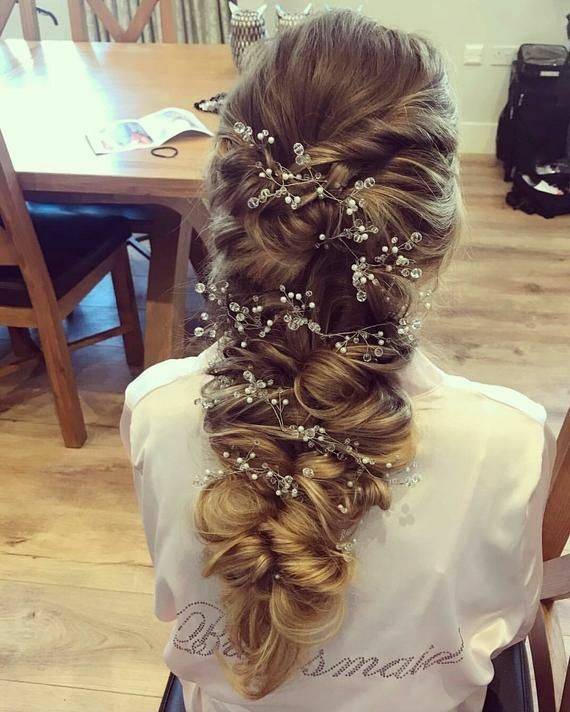 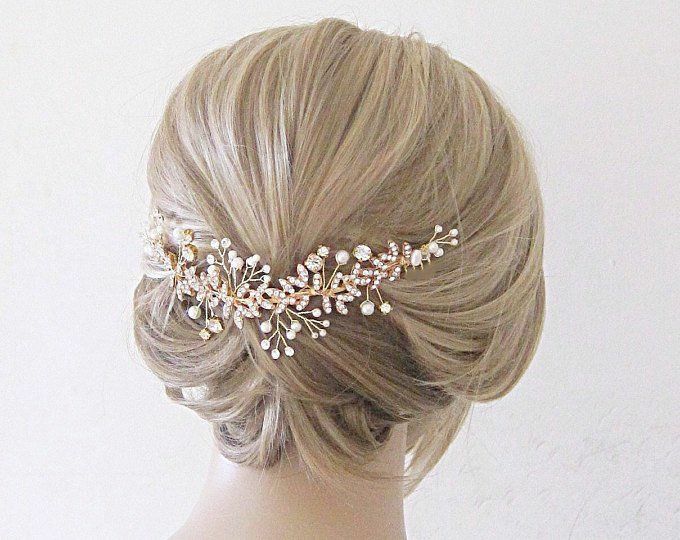 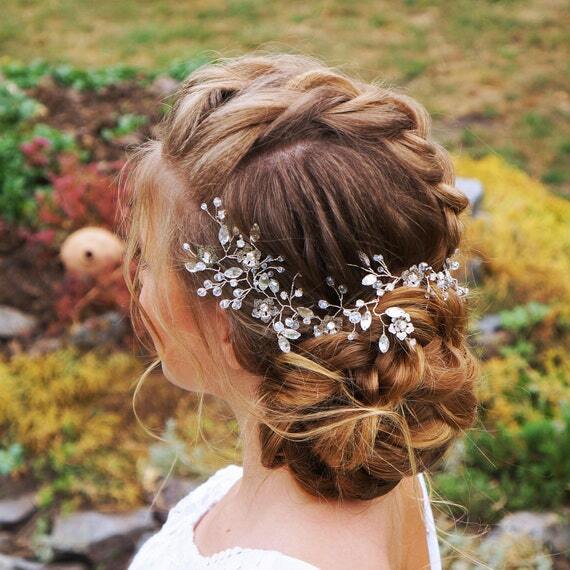 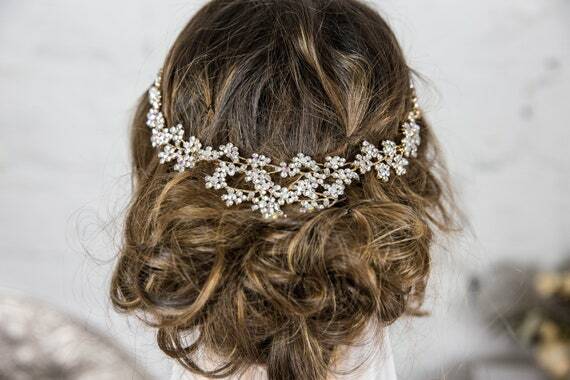 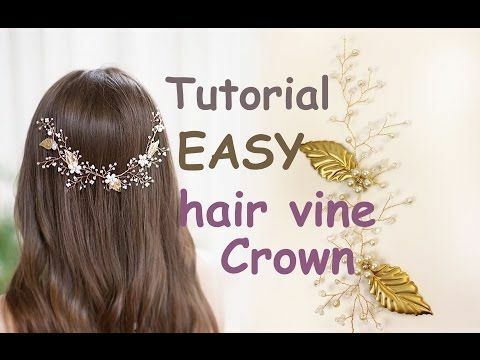 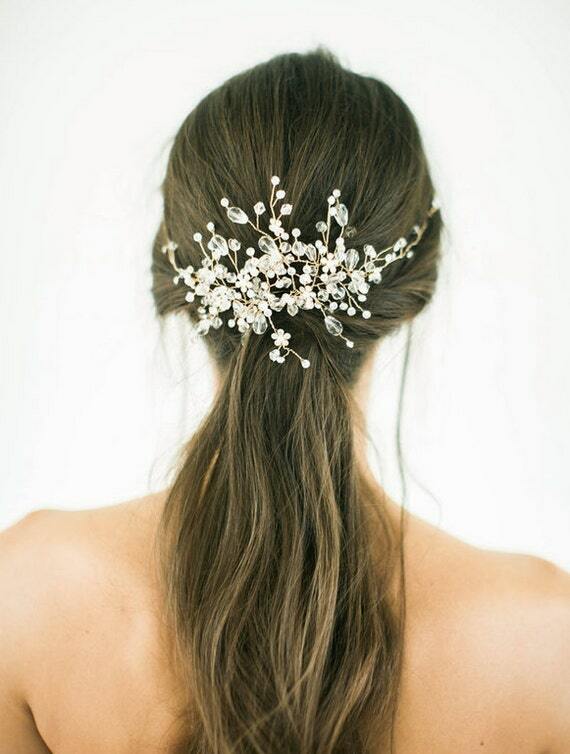 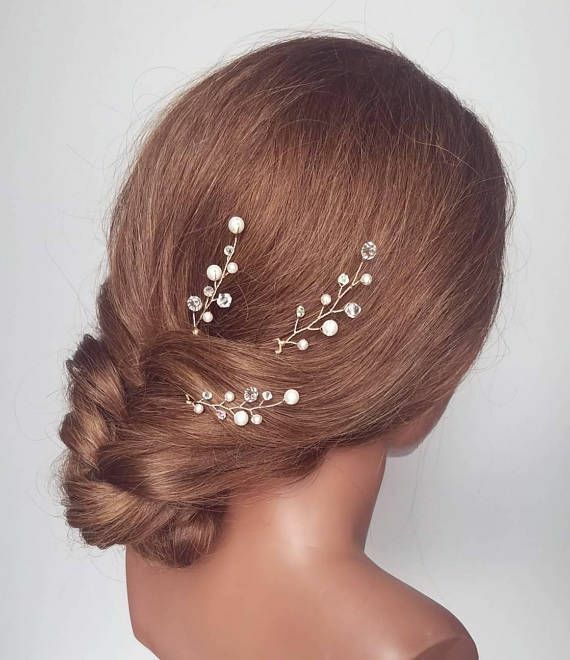 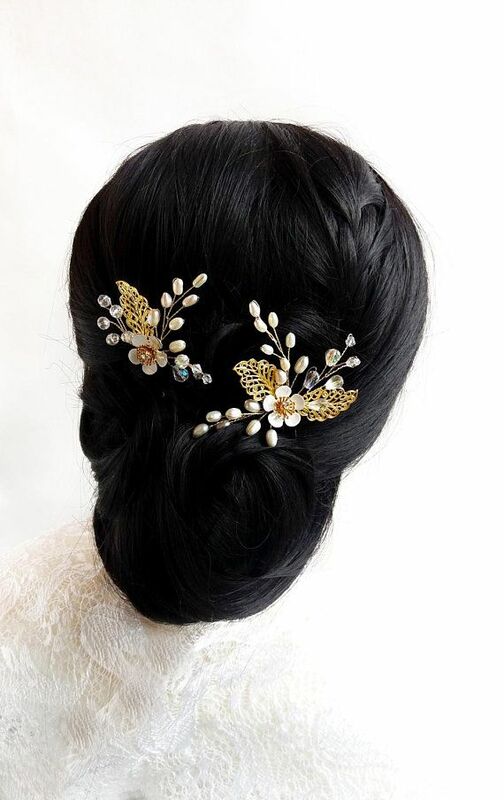 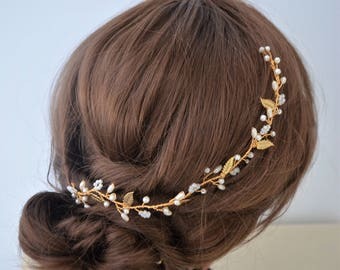 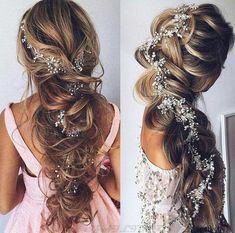 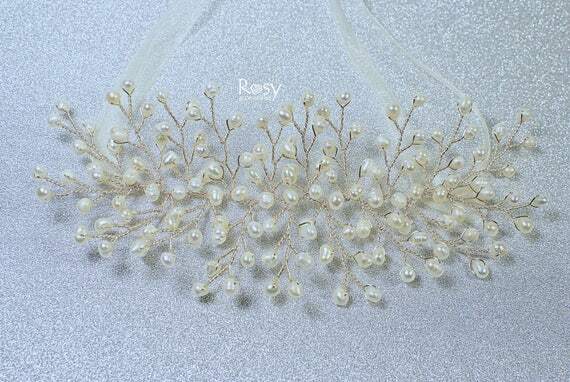 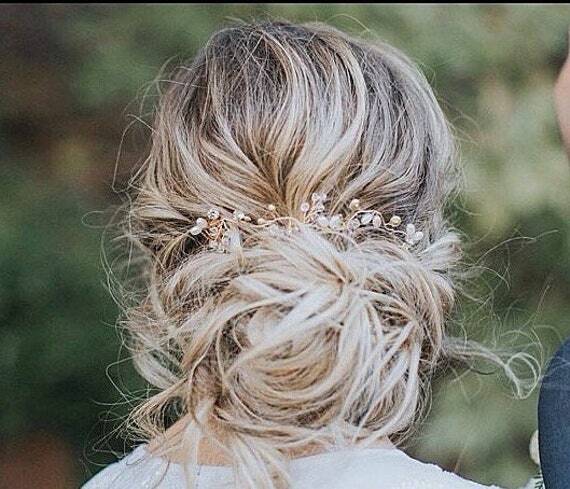 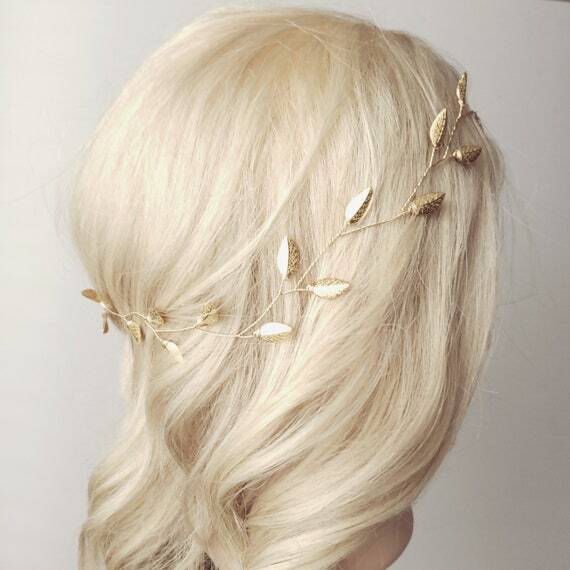 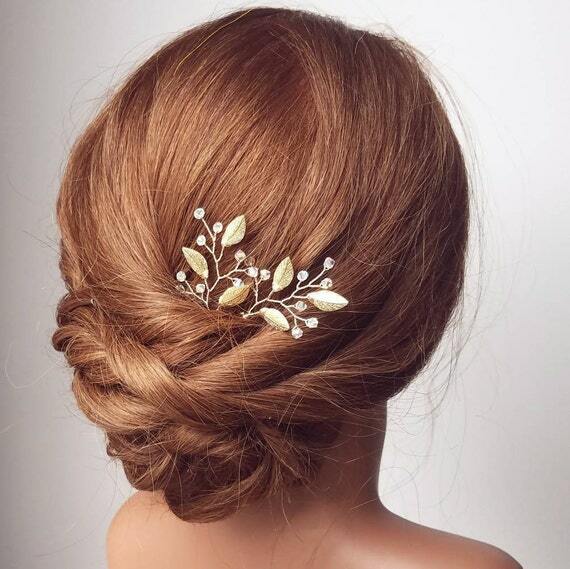 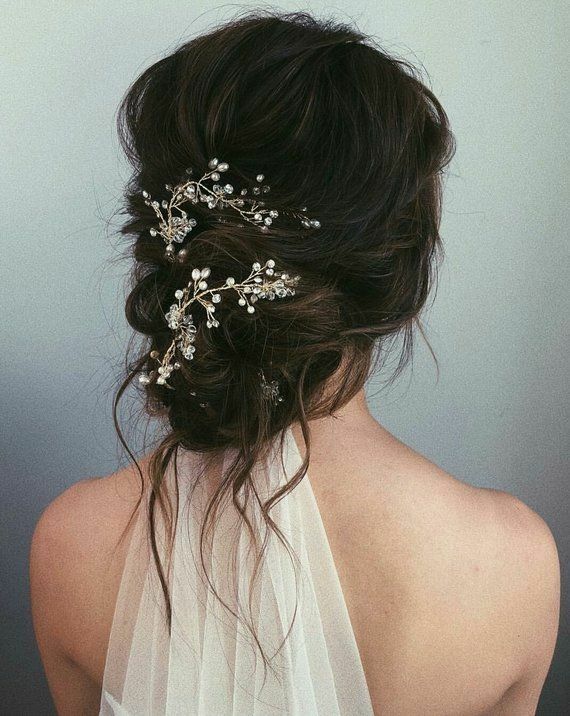 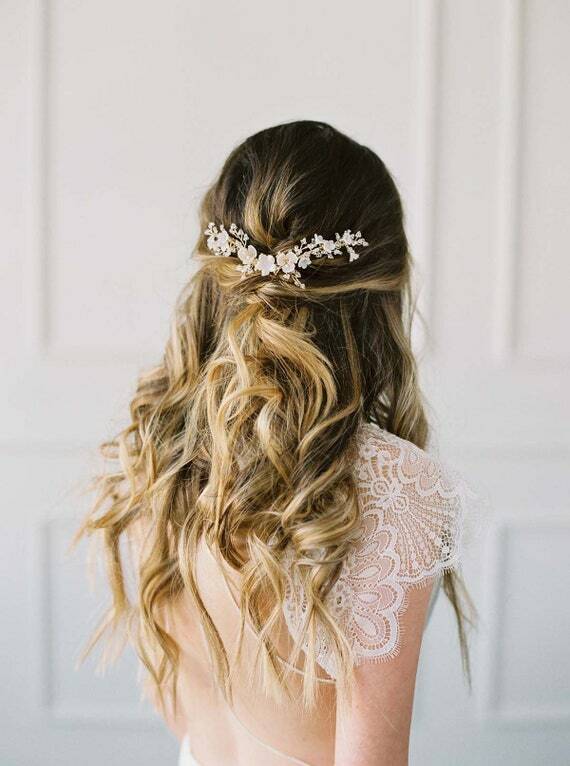 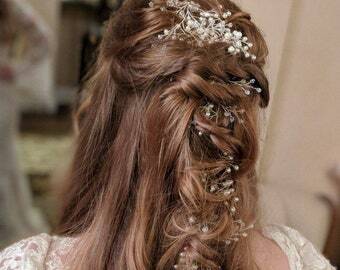 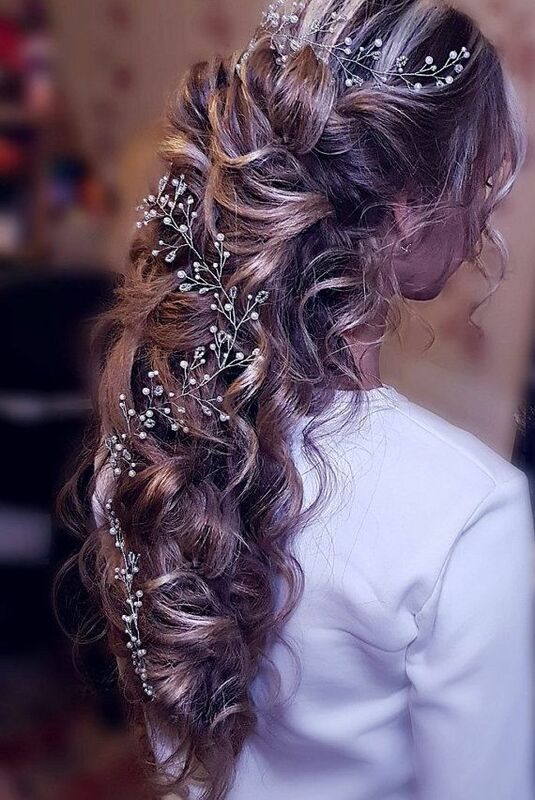 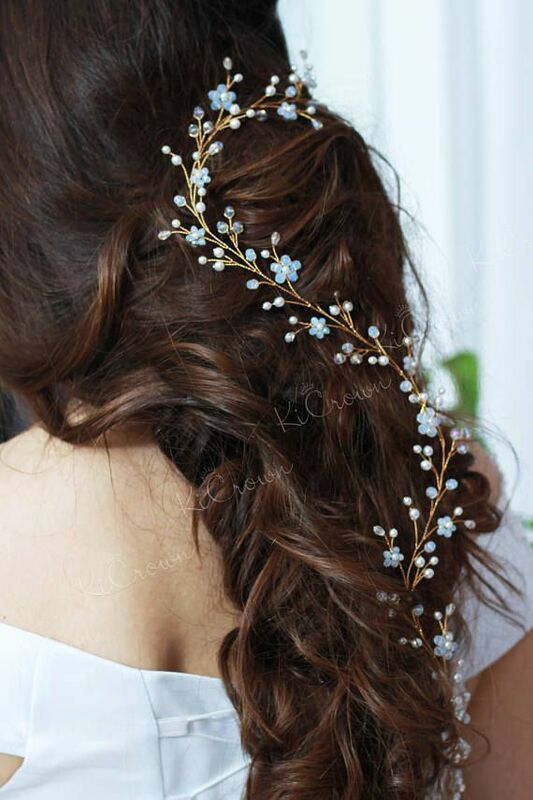 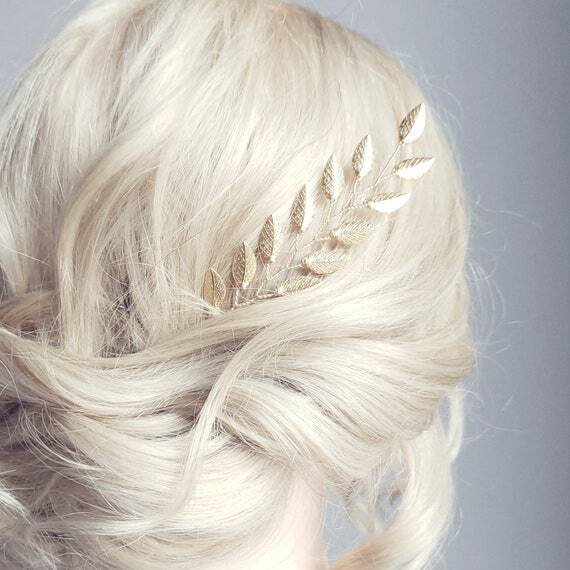 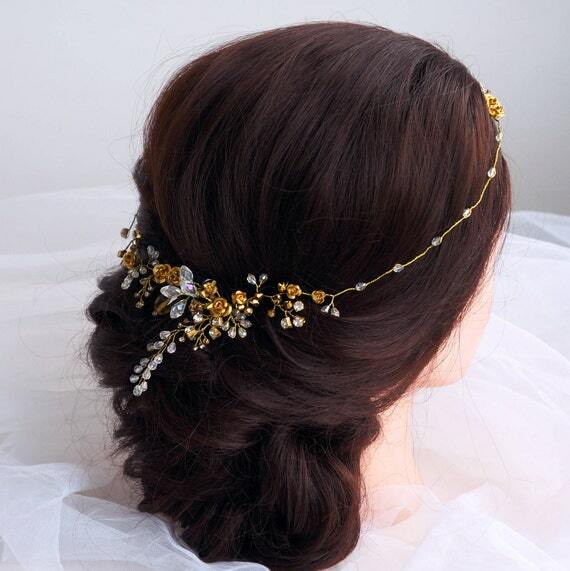 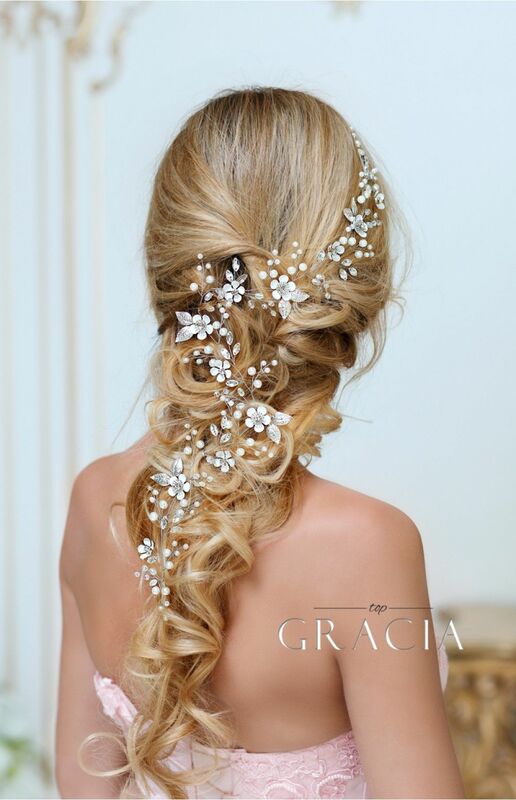 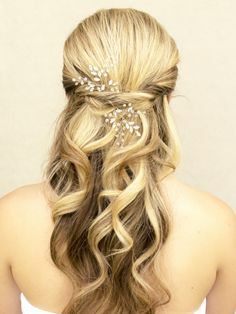 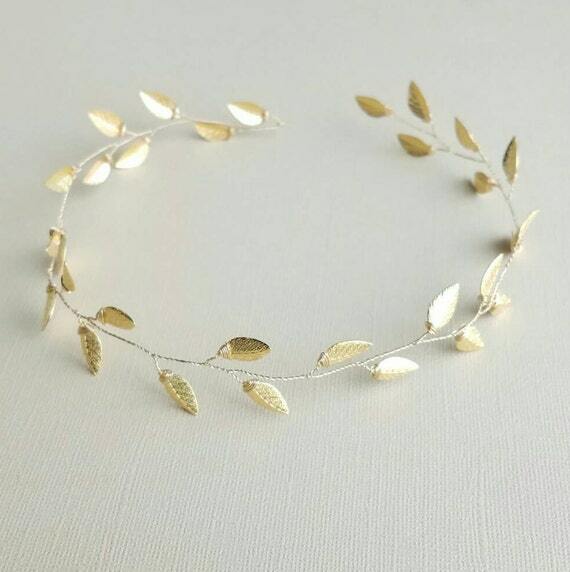 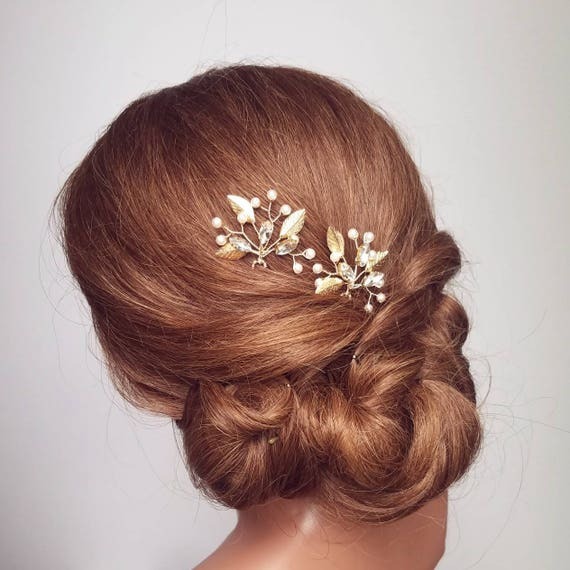 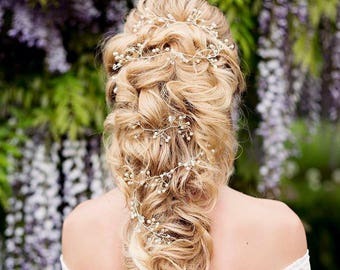 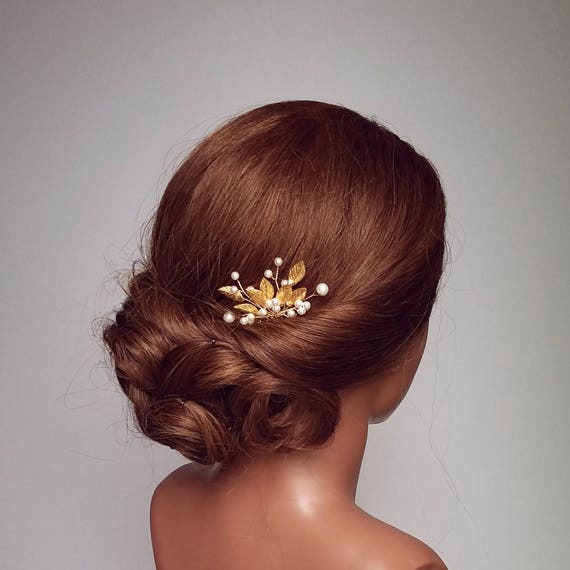 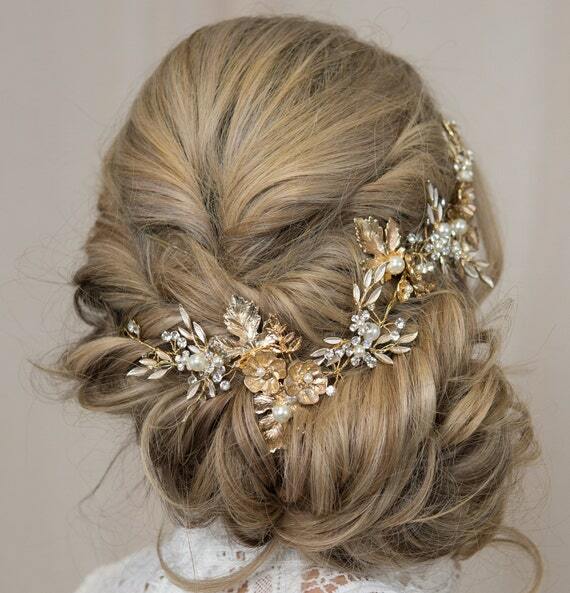 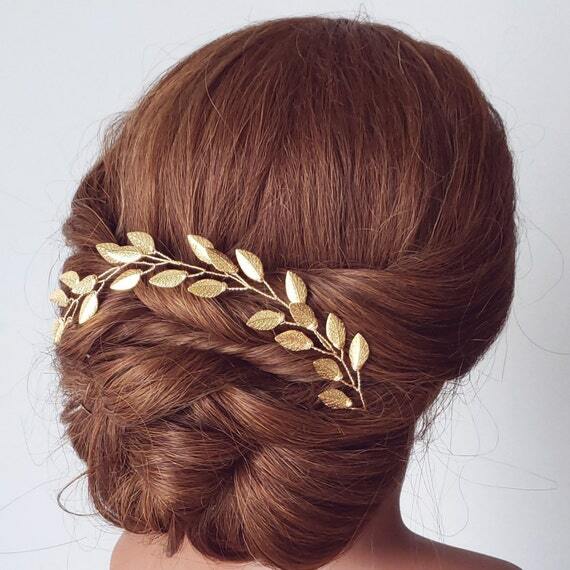 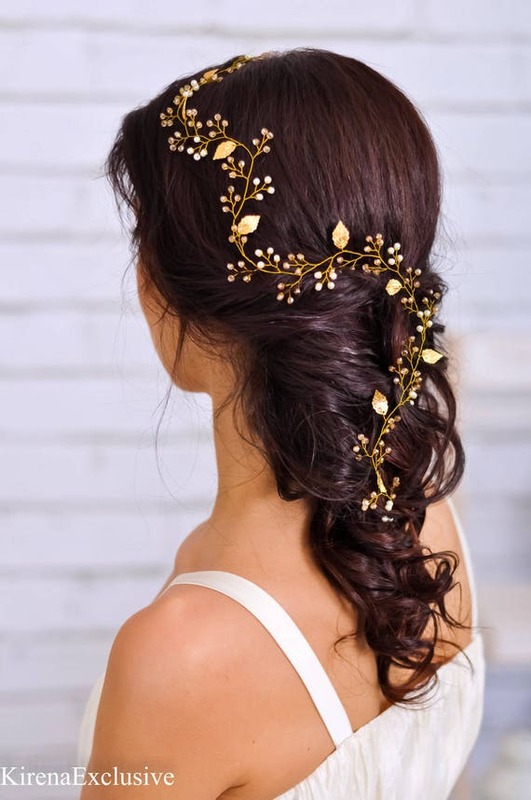 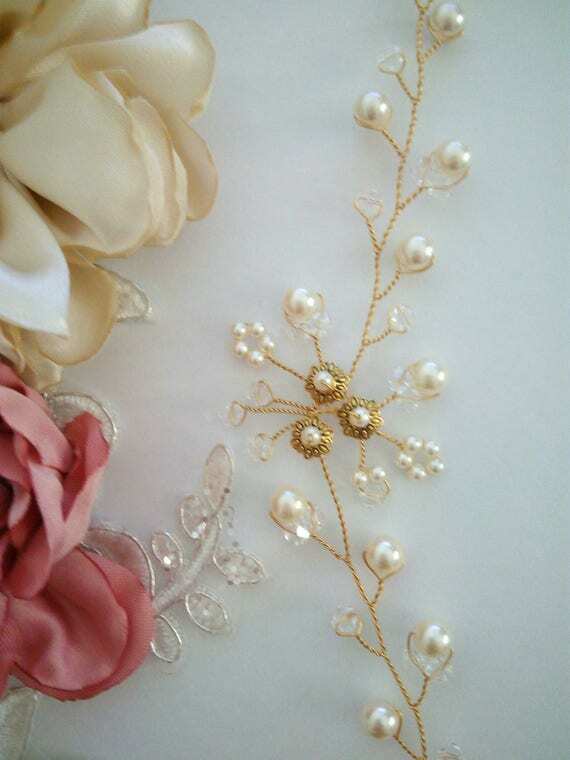 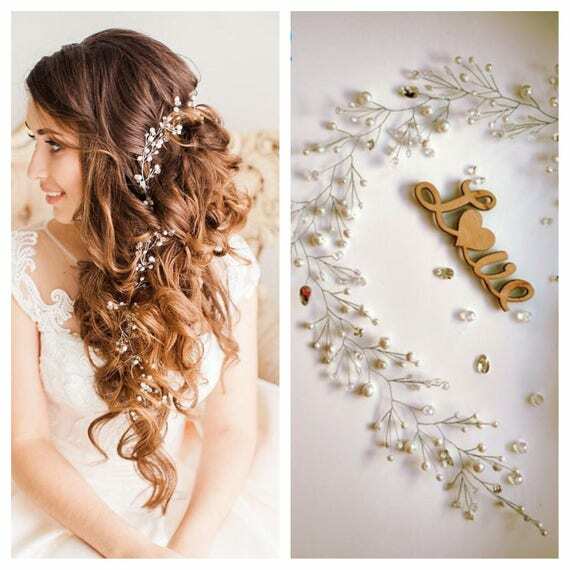 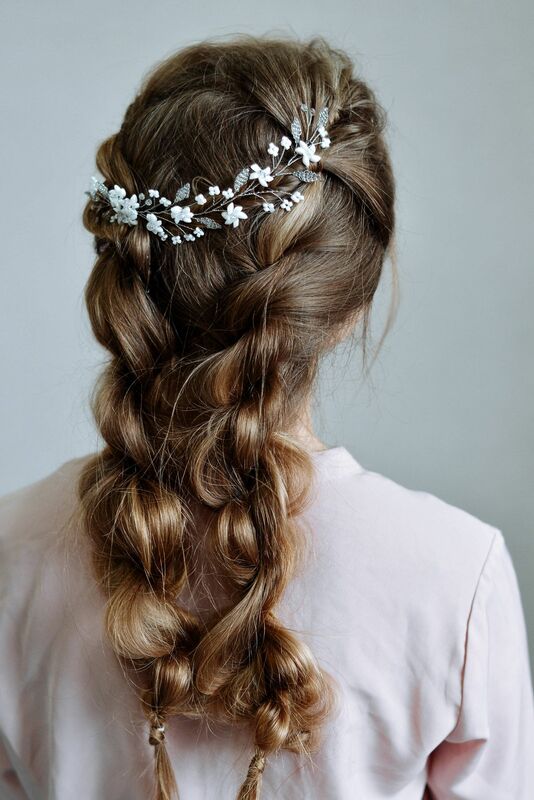 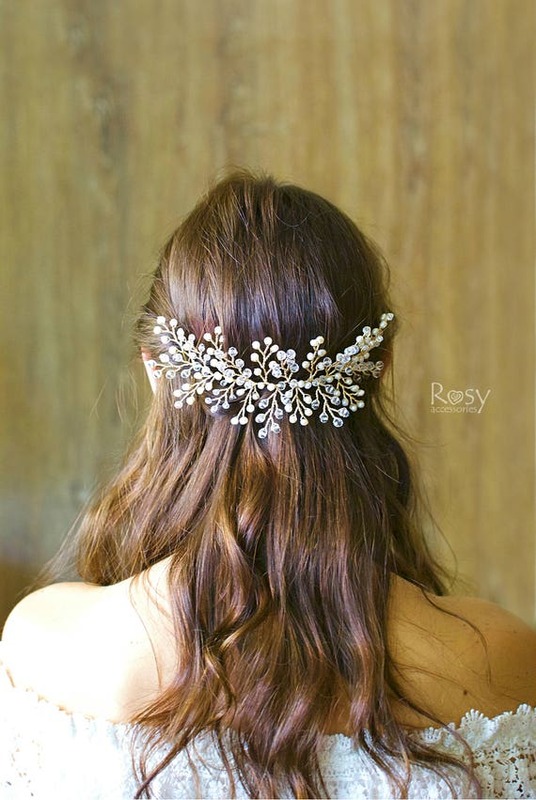 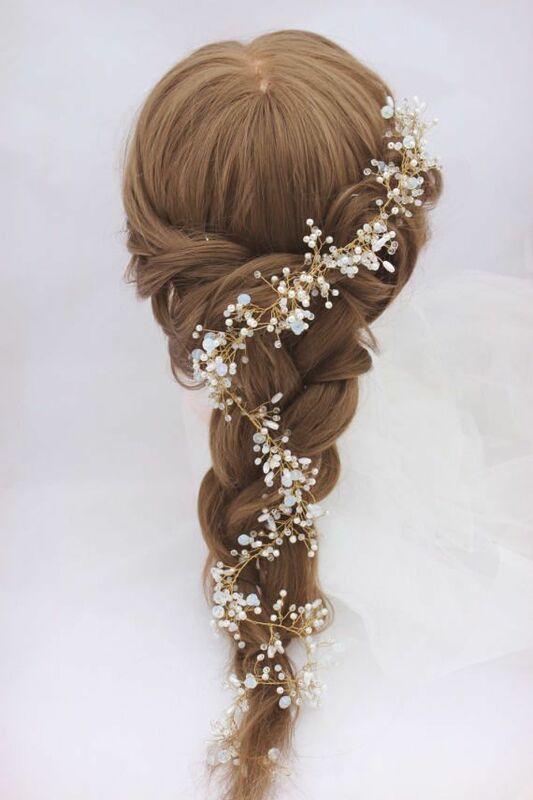 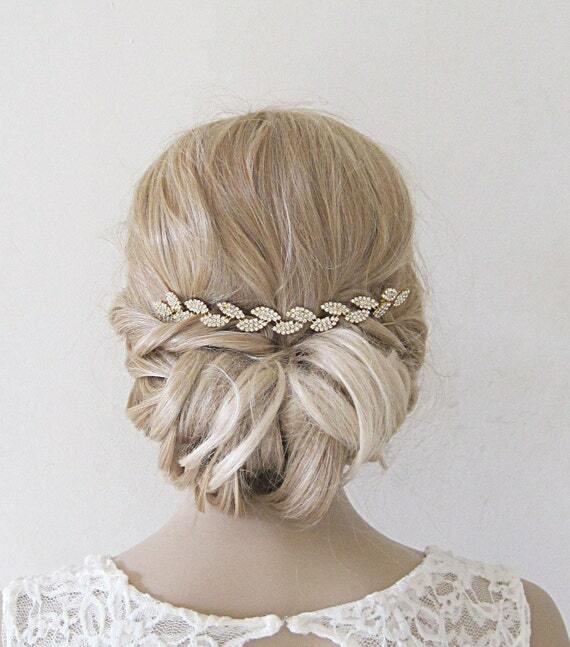 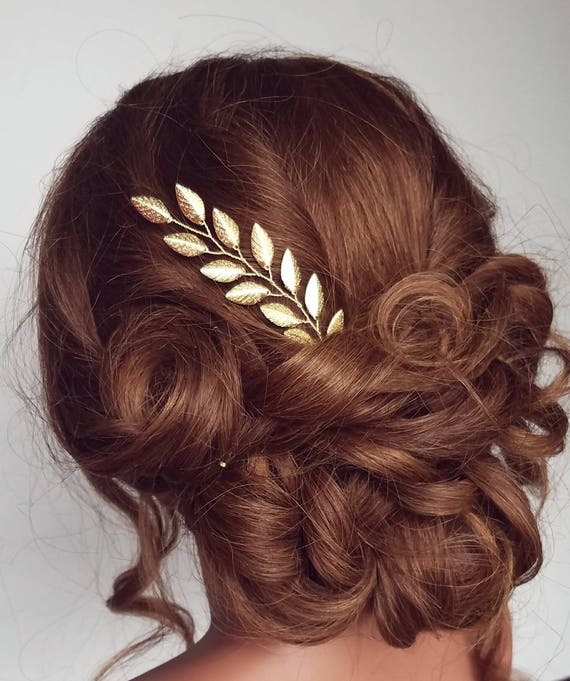 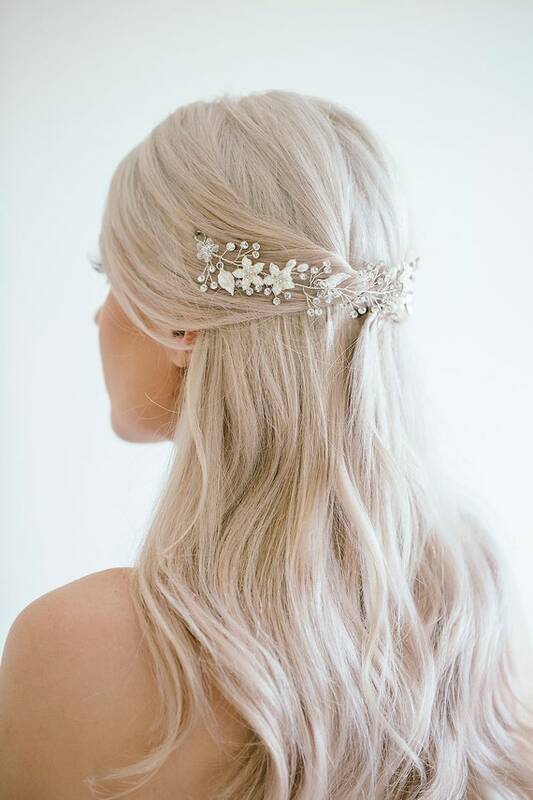 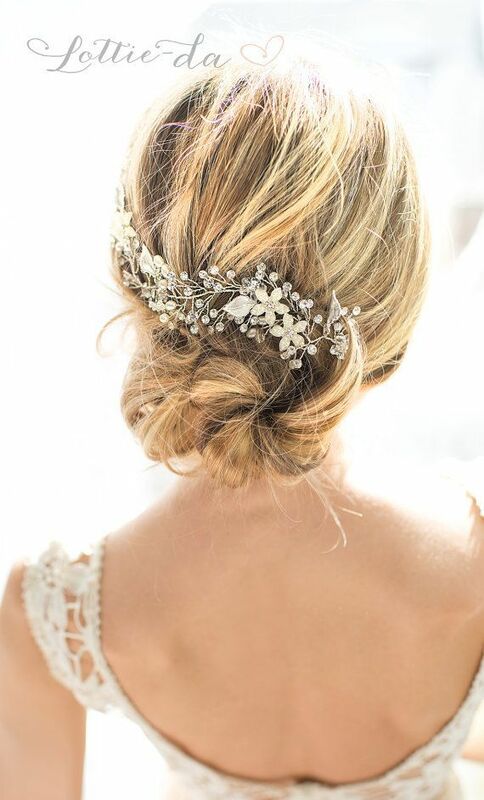 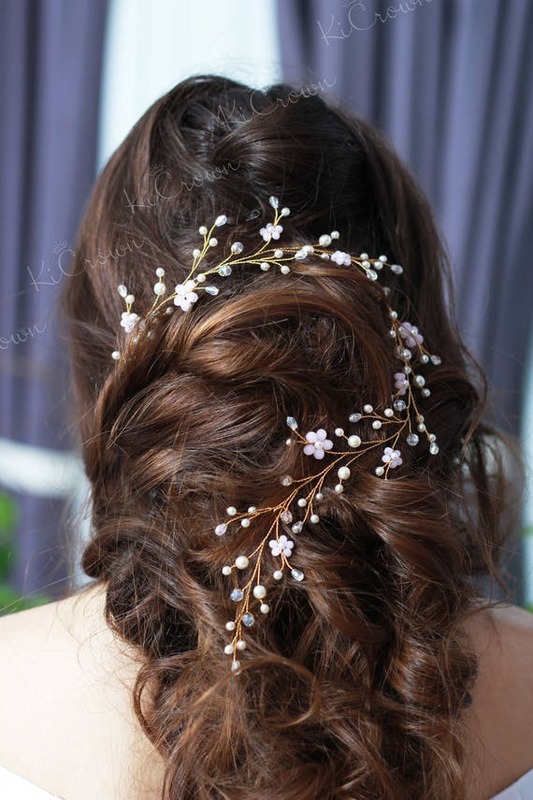 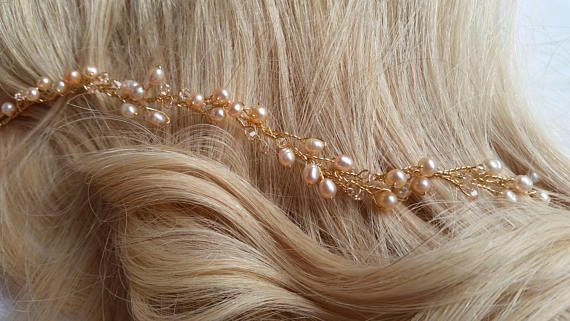 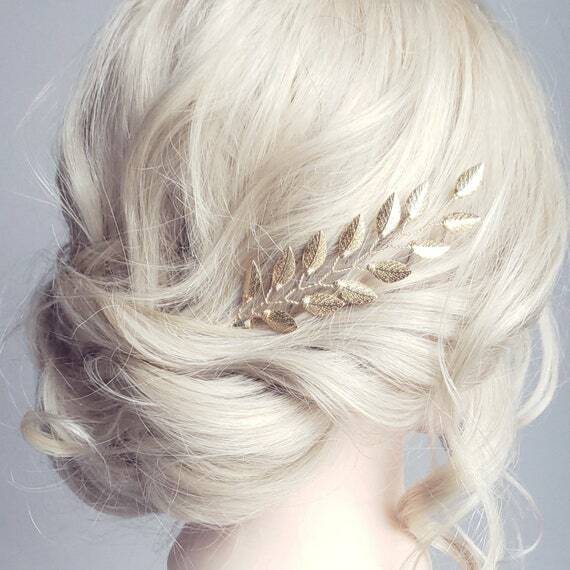 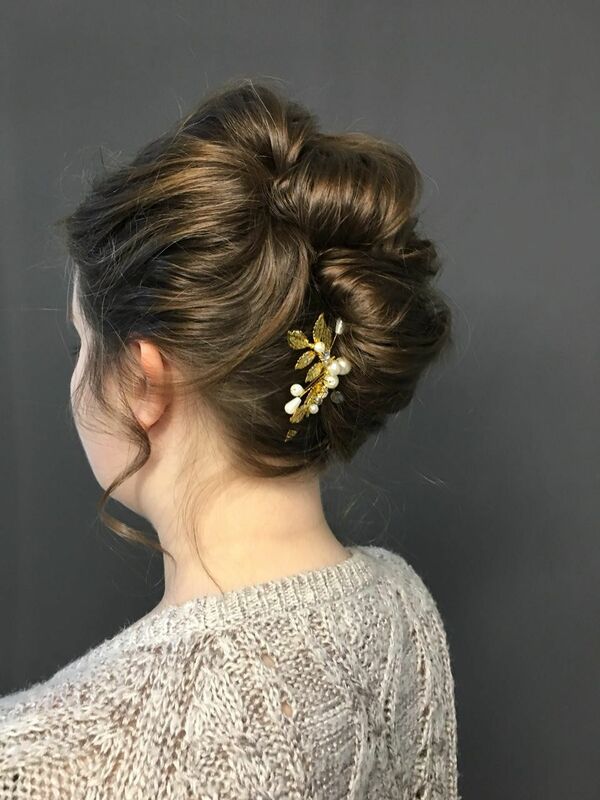 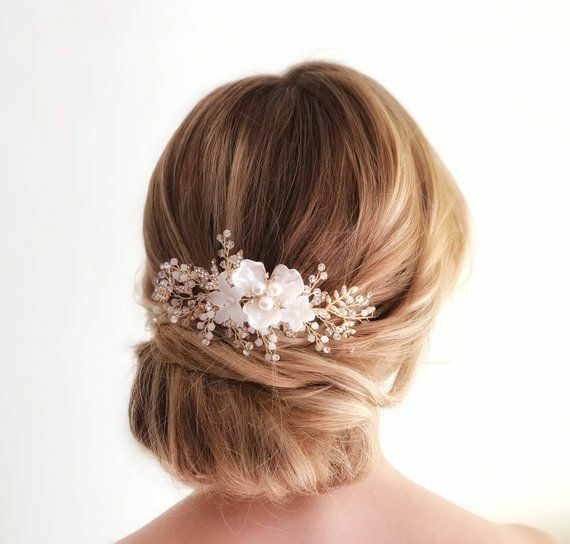 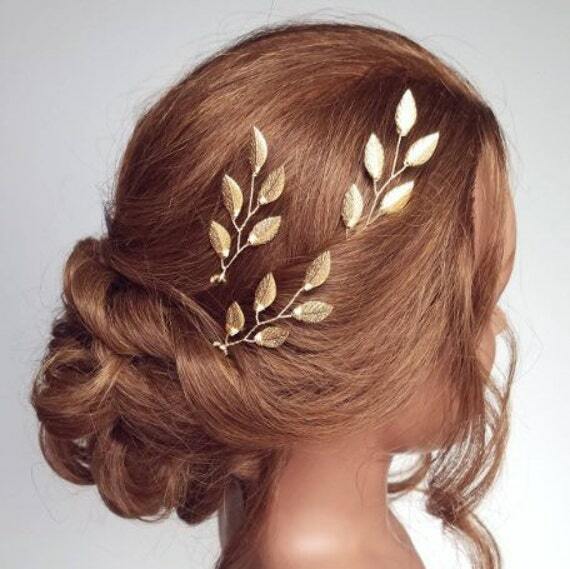 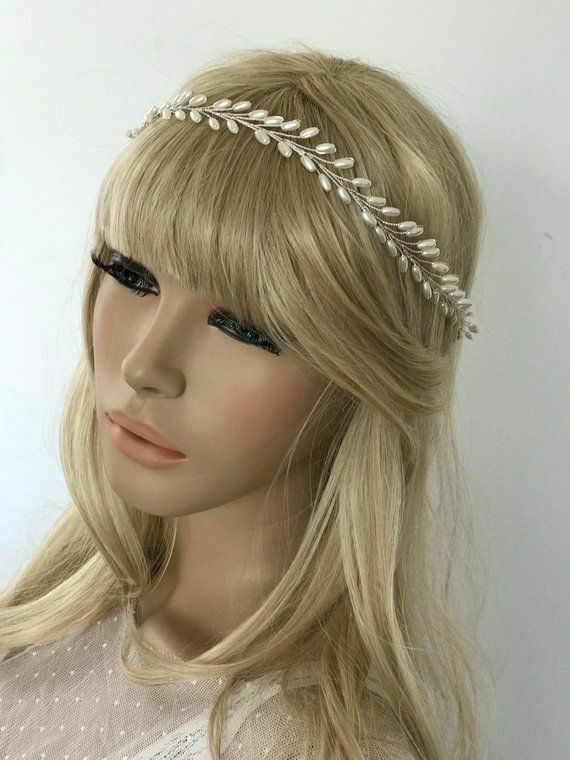 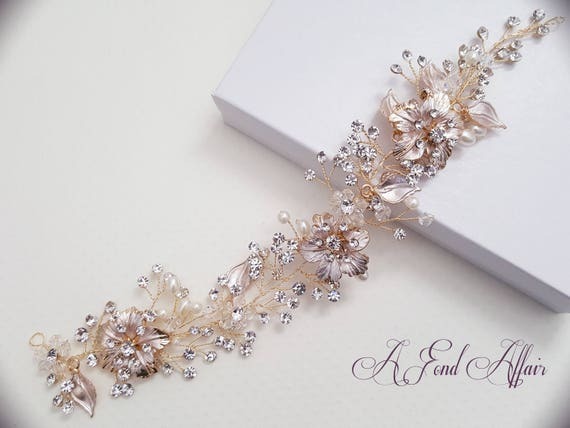 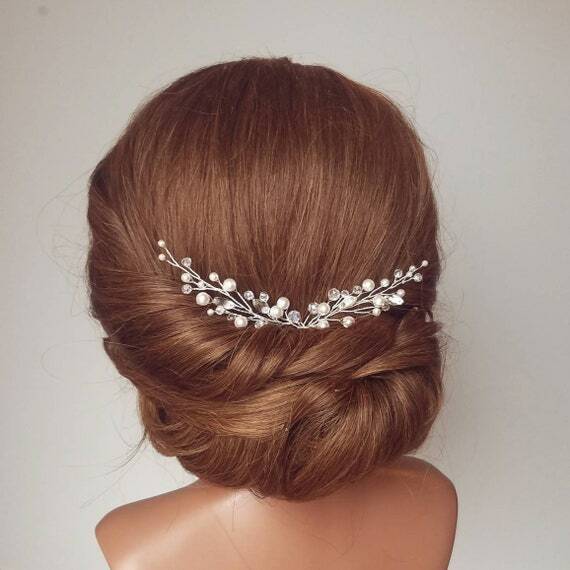 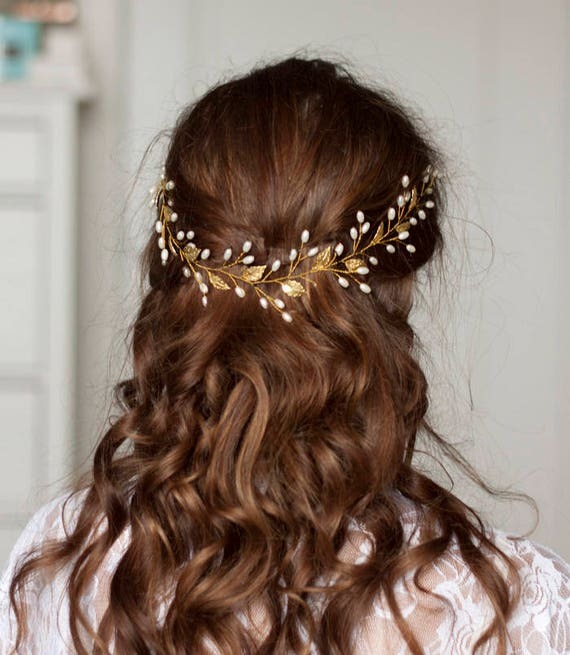 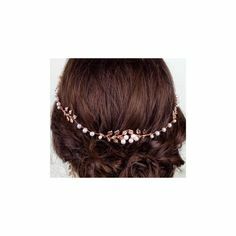 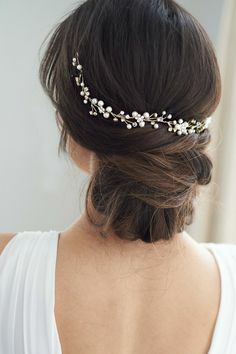 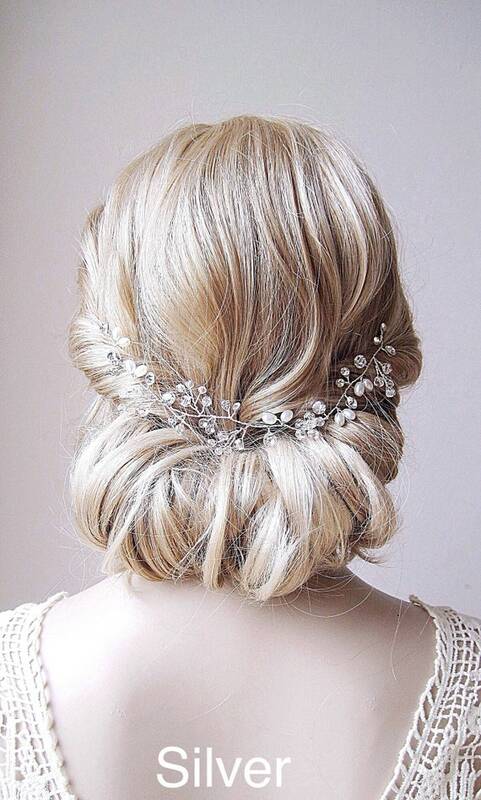 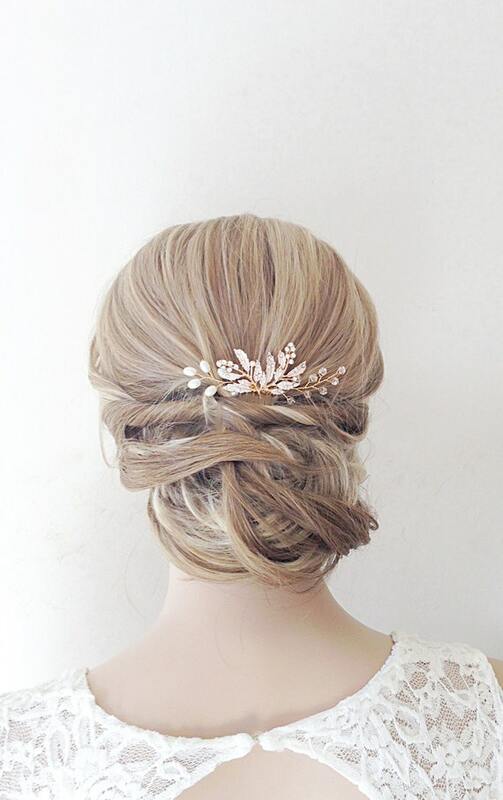 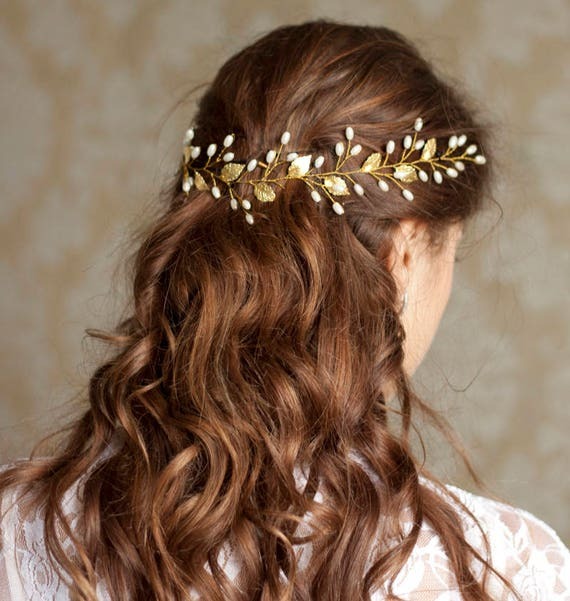 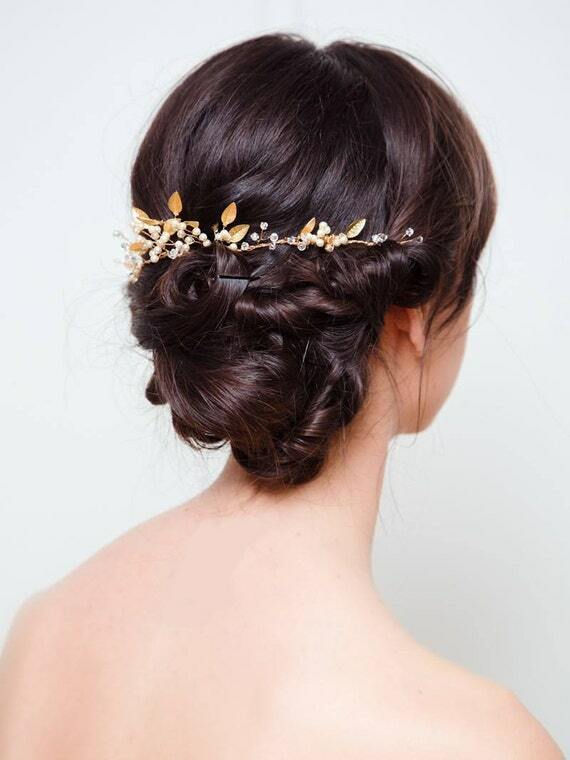 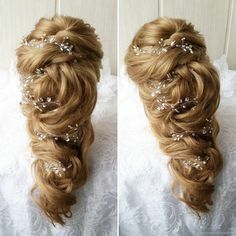 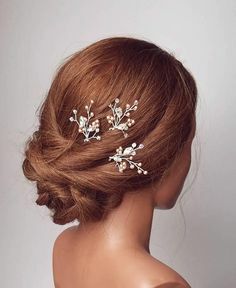 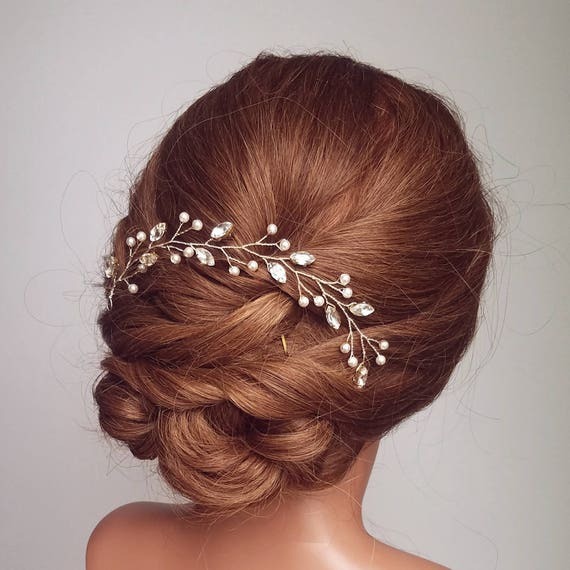 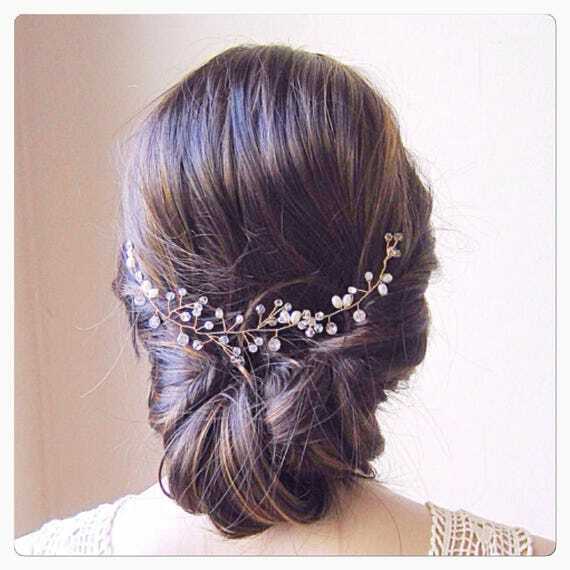 Size 8inc (20cm) Beautiful and delicate bridal long hair vine. 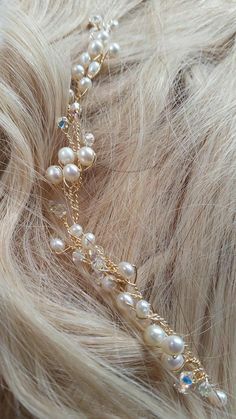 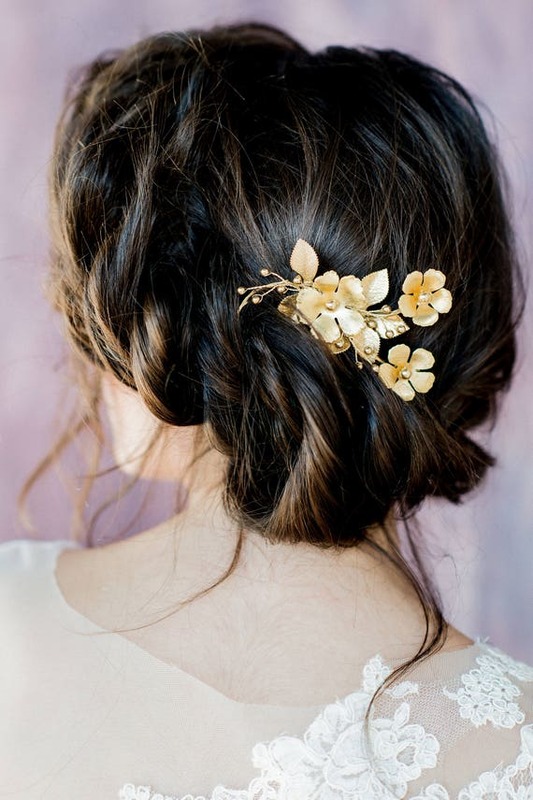 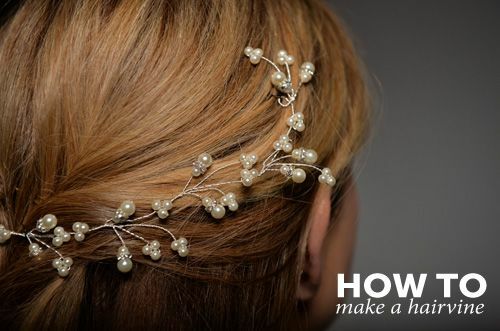 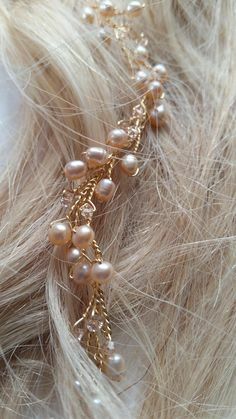 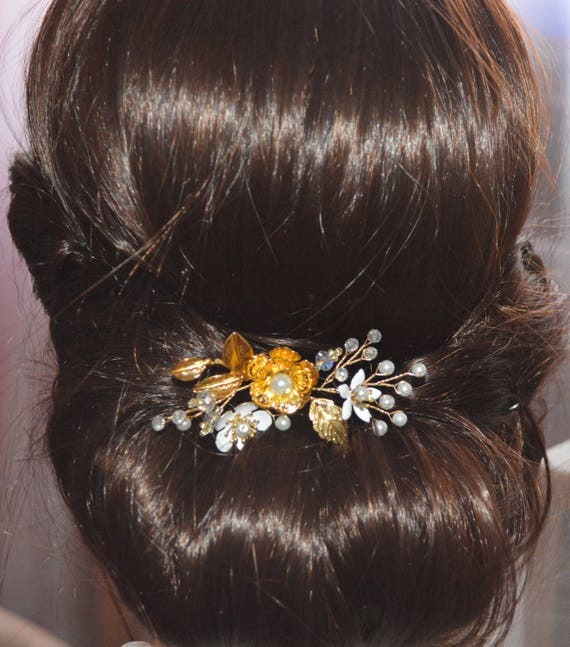 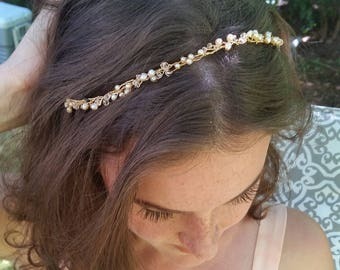 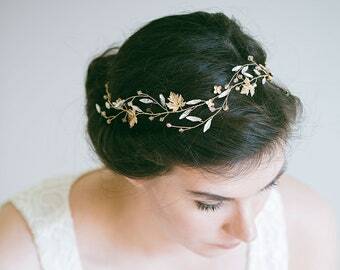 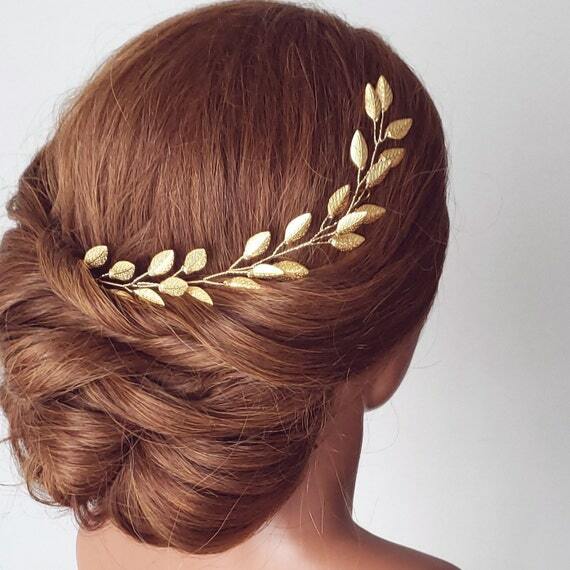 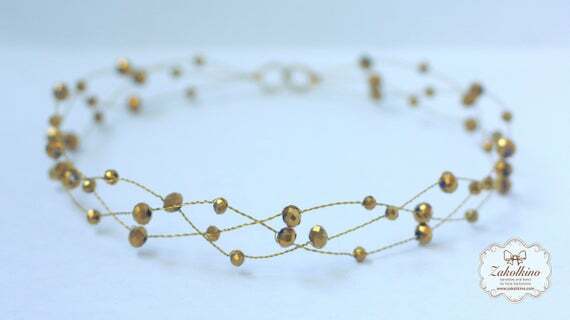 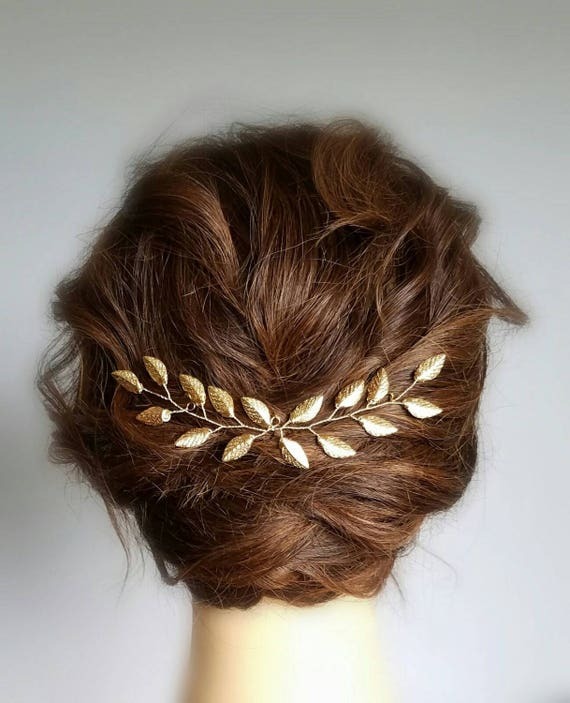 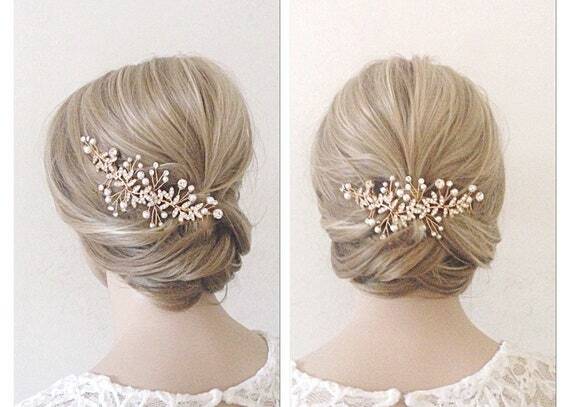 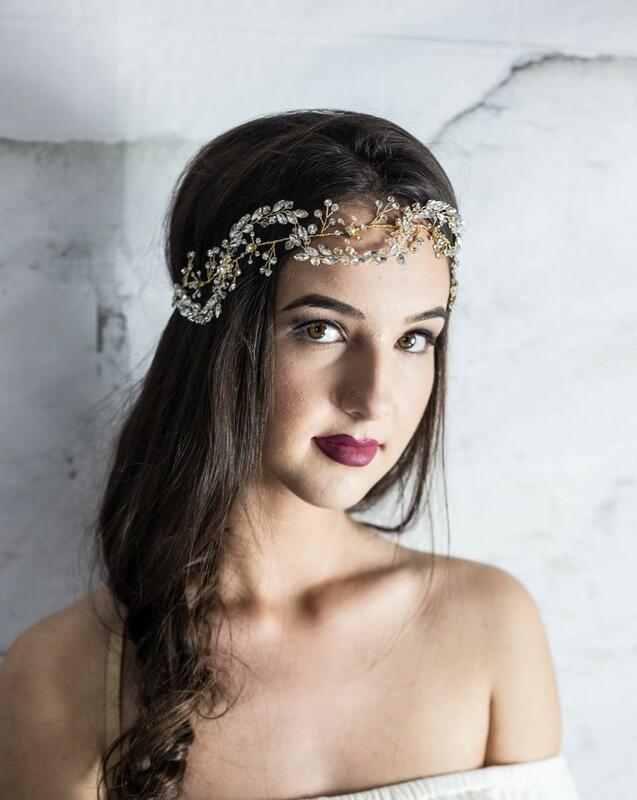 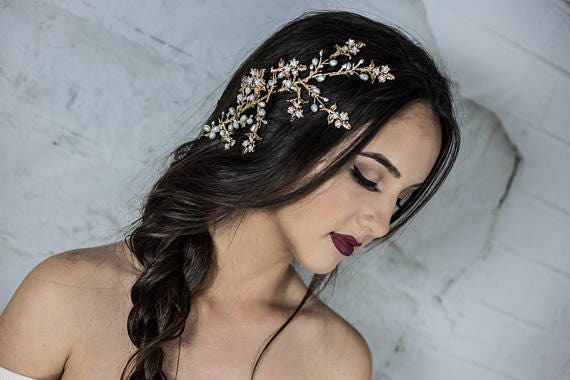 This handmade with delicate crystals in gold. 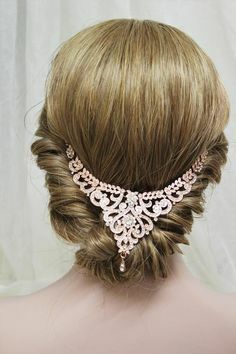 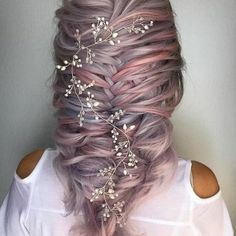 Can be made of silver wire and rose gold.